At the January Meeting of the Society, the speaker Mr. Steve Roberts took as his topic, ‘Hengistbury Head’. It soon became clear, during the speaker’s interesting and entertaining talk that this well known spit of land which protects both Christchurch Bay and Christchurch itself from the encroachments of the strong Channel Sea, is steeped in history. Archaeological digs have established evidence of human habitation throughout the whole of the Stone Ages, from Mesolithic to Neolithic, and excavations of the Bronze Age round barrows have yielded interesting finds including burial goods. The Iron Age appears to have changed the whole character of the Head. It was during that period that the defensive Double Dykes were constructed turning the headland into a fortified settlement. The iron ore was also processed on the site which found its way inland via the River Stour. Towards the end of the Iron Age Hengistbury developed into an important port trading locally mined iron with the Continent. Following Roman occupation of the area it was Alfred the Great who was responsible for major changes. He it was, who rebuilt the harbour and converted the town into a defended ‘burh’ so protecting it against Viking raiders. The speaker quoted Wareham as the finest local example of such a burh as it still retained its massive defensive walls on three sides Following the Norman Conquest further major changes took place. The priory and castle were built and the population increased. The town known by the name of Tweoxenham (later Twynham), meaning ‘between the rivers’, since late Saxon was increasingly called Christchurch, as a consequence of the importance of the church. Access by sea to this part of the coast, particularly from the Isle of Wight, was important and the town prospered accordingly. King John was a frequent visitor to the Castle and is reputed to have held official courts there on two occasions. John’s grandson, Edward I, also had a keen interest in Twynham and was Lord of the Manor for a period. During the Middle Ages and beyond the area grew and prospered. During the 17th and 18th centuries several schemes were promoted with the object of improving the harbour: these involved notable figures such as the Earl of Clarendon and the renowned engineer John Smeaton. However, the large harbour, with relatively easy access to the English Channel, provided a base for smuggling and large quantities of contraband were landed here. The fine beaches were well utilized from about 1750 to the present day. In 1850 when smuggling was rife, the coast was used extensively for that purpose. From 1848-74 the extraction of ironstone from Hengistbury Head weakened the Head forcing the proprietor to discontinue the operation. 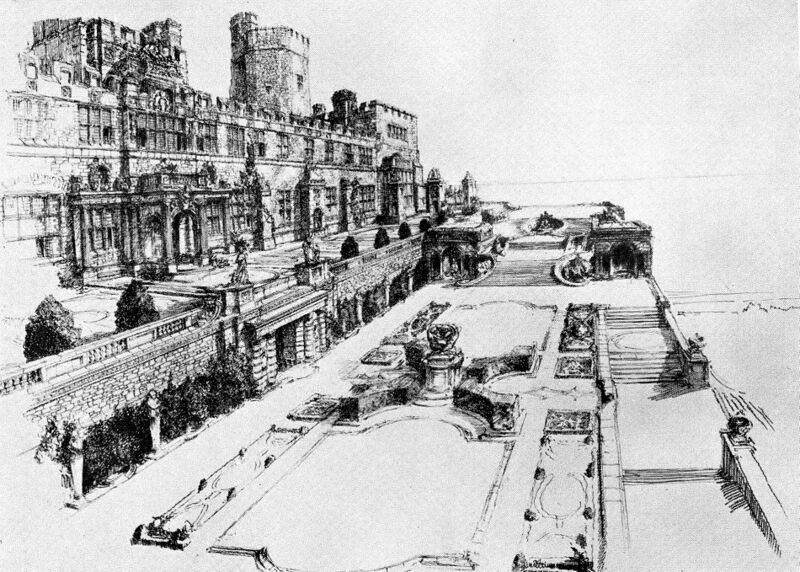 After World War I Gordon Selfridge bought 700 acres of Hengistbury Head from Sir George Meyrick with the intention of erected the largest castle in the world. Happily this was not realised and in 1932 the whole Head was absorbed into the County Borough of Bournemouth. It is now an SSSI; and a new and comprehensive Visitors’ Centre is available where opportunities abound for the whole family to become involved. Although the future is likely to provide challenges there is optimism that this relatively small spit of land with such a long and significant history will continue to play its part in the times ahead. This interesting talk was well received by the audience. The next meeting of the Society will be on 27 February when the speaker will be Professor Ryan Lavelle, whose subject will be, ‘Alfred the Great and the Defence of Wessex in the Viking Age’.